A diverse group of 59 organizations from throughout New York State request a $25 million appropriation to fund the New York State Community Development Financial Institution Fund (NYS CDFI Fund). Nearly 500 national, state, and local organizations urge Secretary Mnuchin to strengthen the federal Community Reinvestment Act in an effort to increase access to safe and sound lending, investments, and banking services in low-income communities and communities of color. Groups demand that the New York State Common Retirement Fund divest from both The Blackstone Group and TPG Capital, two large private equity managers exploiting the crisis in Puerto Rico and profiting from human suffering. A diverse group of organizations calls on the New York Federal Reserve Presidential Search Committee to conduct an open and transparent search process, and focus on identifying an individual with a proven track record of leadership, effectiveness in engaging with ordinary Americans, a strong understanding of the broader economy, and a firm commitment to the Federal Reserve’s mandate of fostering maximum employment and price stability. 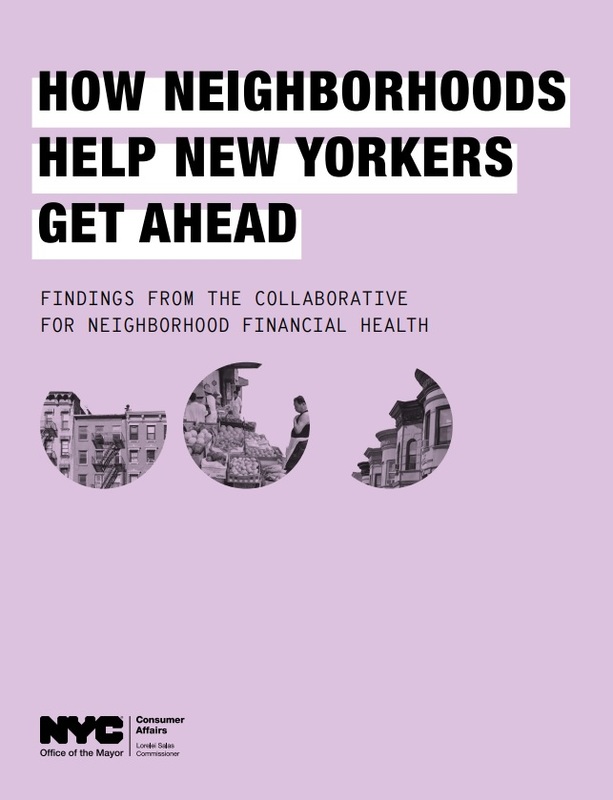 A summary of findings from the Collaborative for Neighborhood Financial Health, a year-long, participatory project designed to better understand and address how neighborhoods influence the financial health of their residents. Bostic v. Houslanger & Assocs.